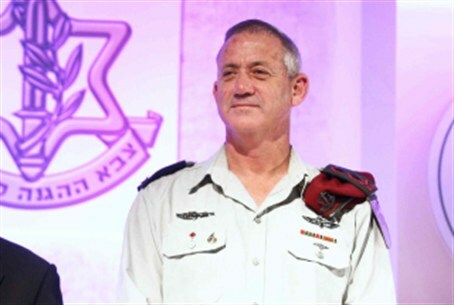 IDF Chief of Staff Benny Gantz decides on a general closure of PA-assigned areas during Yom Kippur. The IDF Spokesperson announced on Monday evening that, according to a decision by Chief of Staff Benny Gantz and based on an IDF assessment, a general closure will be imposed on Palestinian Authority-assigned areas of Judea and Samaria as well as on Gaza during Yom Kippur. The closure began at 11:59 p.m. on Monday night and will be removed on Wednesday night at 11:59 p.m., several hours after the conclusion of Yom Kippur, subject to a security assessment. During the closure, movement from these areas into Israel will be approved in medical and humanitarian cases only and subject to approval by the Civil Administration. “The IDF will continue to act to protect the citizens of Israel while considering the Palestinian fabric of life,” said the IDF statement. Earlier on Monday, Gantz told a memorial gathering to commemorate fallen soldiers that our enemies are trying harder than ever before to attack the State of Israel. On Friday, a terror attack ended the life of 20-year-old IDF Cpl. Netanel Yahalomi, who was shot and killed on the border with Egypt as he was going to offer water to African migrants attempting to enter the country illegally.